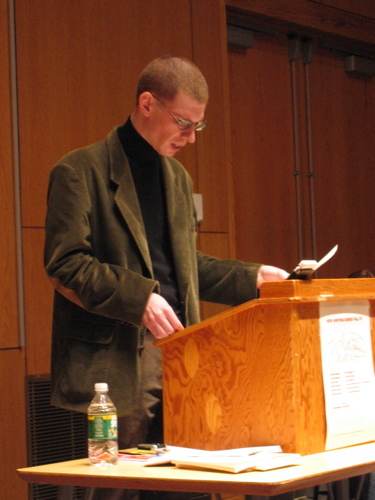 An audience of approximately thirty-five people turned out to hear poet Michael Davidson read in the Arthur Hill Auditorium on the UMaine campus as part of the fall 2007 New Writing Series. 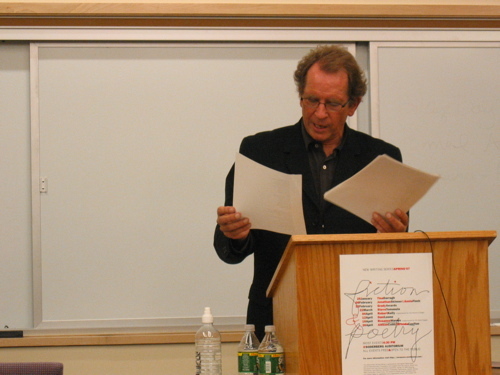 Davidson opened his set with two pieces—”Subject Matter” from Post Hoc and “You Were Saying” from The Arcades—that are scored for two voices (poet & UMaine professor Jennifer Moxley supplied the second voice). He then read further from Post Hoc, The Arcades, and “Bad Modernism,” a sequence from a manuscript in process. A question and answer period followed, during which Davidson spoke about the formal and conceptual constraints that shaped his sequence, “Screens,” and about the sources, more generally, of the various projects he’d read from. He also spoke about how the process of losing his hearing forced him to rethink some basic, aural-centered, assumptions he’d had about poetry. A detailed set-list will follow. Davidson’s visit to UMaine, which also included a lecture drawn from his forthcoming book, Concerto for the Left Hand: Disability and the Defamiliar Body, was generously co-sponsored by the UMaine Center for Community Inclusion and Disability Study. The event, which was introduced by Steve Evans, was recorded on digital video tape; vhs- and dvd-duplicates are available through the English Department (contact Steve Evans or Hansie Grignon on FC). 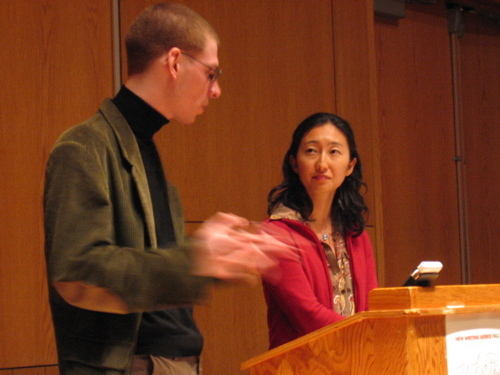 More than sixty-five people came to the Soderberg Auditorium on November 8th to hear poets Sawako Nakayasu and Aaron Kunin read from their works. Nakayasu read as yet uncollected poems, selections from her volume Nothing Fictional but the Accuracy or Arrangement (She (Quale Press), and several translations from Four From Japan (Litmus Press). Aaron Kunin read from a poetry manuscript in progress and concluded with several chapters from the end of his forthcoming novel The Mandarin. Afterward, both poets took questions from the audience. A digital video recording was made of the event. VHS and DVD duplicates will be available shortly. Thanks to Katie Lattari for her work preparing this event report. 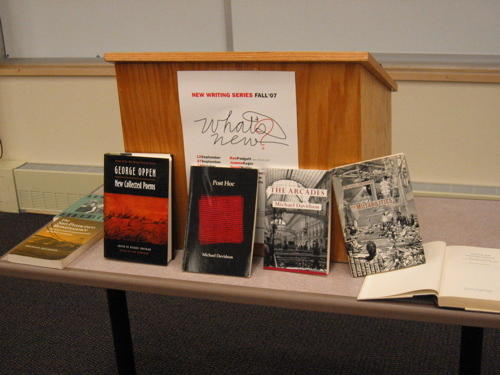 The New Writing Series welcomes poet and scholar Michael Davidson to the UMaine campus for two major events this week. 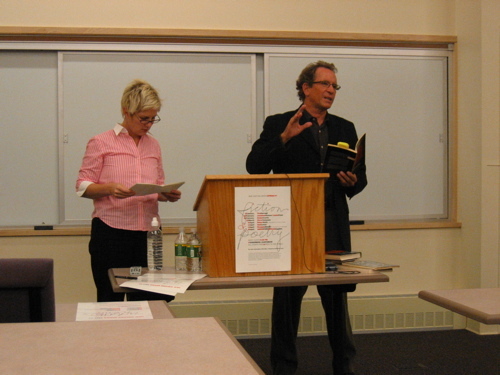 Davidson, who in addition to his many volumes of poetry has also written extensively on gender and disability issues, will give a poetry reading on November 15, 2007, at 4:30 in the Arthur Hill Auditorium in Barrows Hall. A lecture based on his forthcoming book, Concerto for Left Hand: Disability and the Defamiliar Body, will take place in the Hill auditorium at 11am on Friday, November 16. 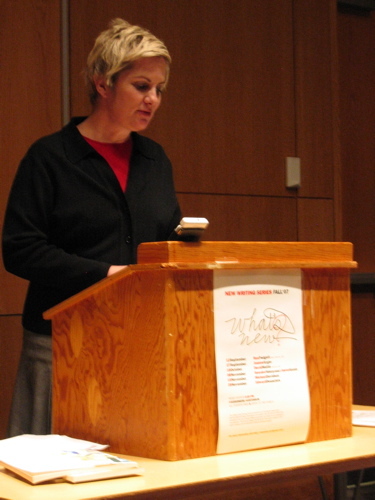 Davidson’s other scholarly works include The San Francisco Renaissance: Poetics and Community at Mid-Century, and Ghostlier Demarcations: Modern Poetry and the Material World. His latest book of poetry, published in 1998, is The Arcades, which follows his other acclaimed work in Post Hoc, The Landing of Rochambeau, and The Prose of Fact. You can read an interview with Michael Davidson here. Davidson’s visit to the UMaine campus is cosponsored by the Center for Community Inclusion and Disability Studies. The American sign language (ASL) interpretation of Davidson’s lecture will be provided by Bangor Interpreting. Thanks to Hansie Grignon for her work on this announcement. The New Writing Series welcomes two emerging talents to Orono for a joint reading on Thursday, November 8. The event starts at 4:30pm in the Soderberg Auditorium on the University of Maine campus and is free & open to all. Nakayasu lists among her poetic influences the work of Gertrude Stein, Yoko Ono, John Cage and John Edgar Wideman. 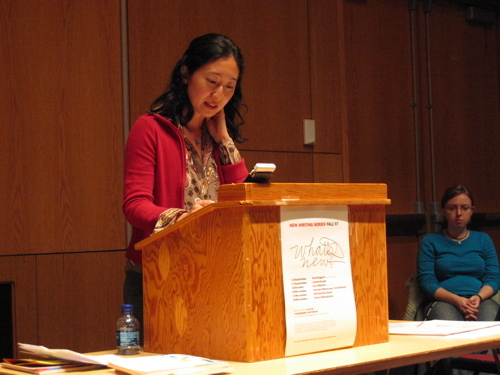 A graduate of Brown University, her reviewers have commented that, while many “younger poets have been reduced to repeating the gestures of a decrepit literary vanguard,” Nakayasu “can awaken our imaginations to new poetic possibilities.” Her blog chapbook, Insect Tutelage has been praised as “among the best executed in the 2007 Dusie e-chap series from both design and literary standpoints.” You can read an interview with Sawako Nakayasu here, and excerpts from her blog here and here. Aaron Kunin’s poems are literally outrageous. They are 1) a: exceeding the limits of what is normal or tolerable, b: not conventional; 2) violent or unrestrained in action or emotion; and (sometimes) 3) offensive. At the same time they are filled with the proper concerns of poetry. They are interested in divinity and accident, physical beauty and romantic love. They are inventive but not narrowly so. They are cutting without being ironic; they have pathos without sentimentality. In short, Kunin’s poems belong to the great tradition of the tragicomic. 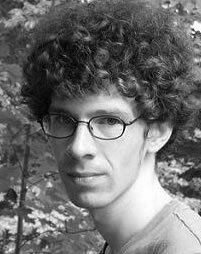 Jack Spicer once wrote that “A really perfect poem has an infinitely small vocabulary,” and Aaron Kunin has outrageously written an entire book using no more than two hundred words. In other words, he has created a drama for two hundred players, a world teetering brilliantly between containment and chaos. Anything can happen here—and does. Aaron Kunin took his Ph.D. at Duke University, and is currently Assistant Professor of English at Pomona College. Read an interview with Kunin here, and a review here. Thanks to Hansie Grignon for her work researching and preparing this release.